A church cookbook combines two steadfast pillars of every Southern congregation: fellowship and food. When a group of church members puts together a collection of recipes, it’s not about putting on a show. It’s not about macarons, croissants, or coq au vin. It’s about binding comfort and community into a spiral notebook of dependable, no-fuss recipes every Southerner should have at her disposal. Think classic dishes like hashbrown casserole, chicken bog, and tamale pie. In every church cookbook, you’ll find more than a few cold salad recipes tucked into the pages, and the selection makes it instantly apparent that Southerners use the term “salad” quite fast and loose. Whether crisp or creamy, garden-fresh or gelatinous, church cookbook salads are as faithful as it gets. Many use pre-packaged ingredients, like Duke’s mayo and Miracle Whip, with wild abandon; while some are more sweet than savory. One thing’s for certain: Church salads are definitely worth praising. Check out these 27 classic salad recipes that deserve to be served forever. 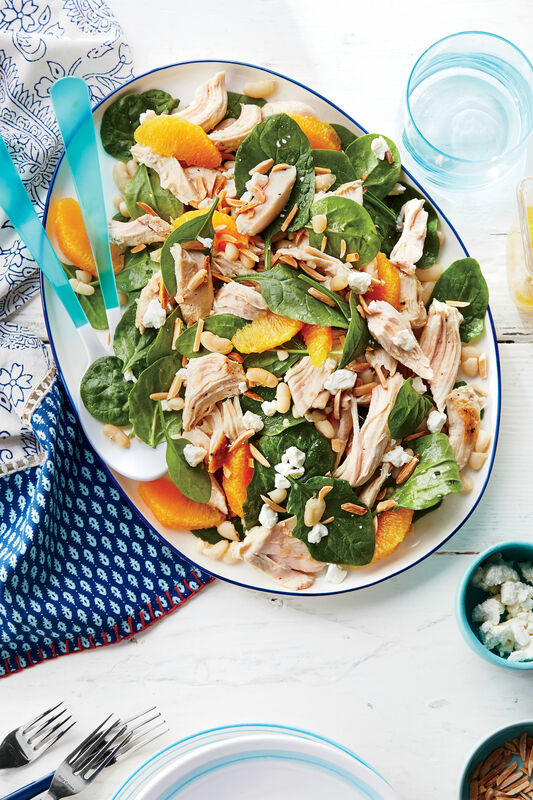 Give classic chicken salad a little makeover. 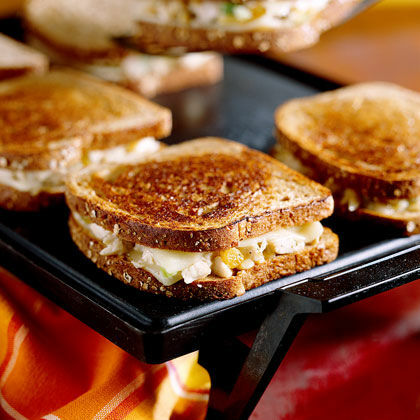 Lemon and tarragon flavor the creamy mixture, while chopped pecans, Granny Smith apples, celery, and red onion give amazing crunch. Dressed up and dreamy, this corn salad transforms fresh corn with a light and fluffy cloud of whipped cream. Another magic touch: It calls for only four ingredients. The whole congregation will be singing its praises if you show up with this classic potato salad. Like many favorite traditional recipes, it includes mayonnaise, yellow mustard, and hard-boiled eggs. Egg salad is the most nostalgic of spreads. This 15-minute, 5-ingredient recipe is an easy go-to rendition. Deliciously creamy, slightly crunchy, and subtly sweet, this cold salad is a church cookbook staple. 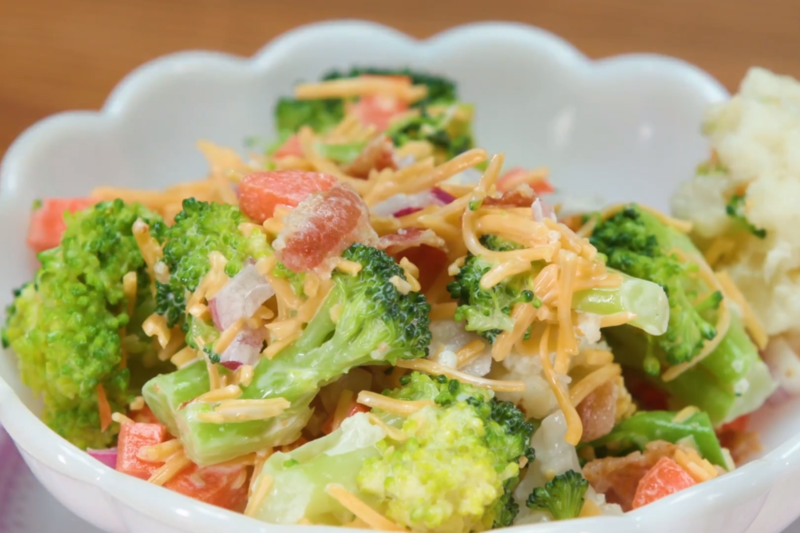 This salad is about the only way you're getting a Southerner to eat raw broccoli. Grapes add even more crunch and little sweetness to the cherished pasta salad. 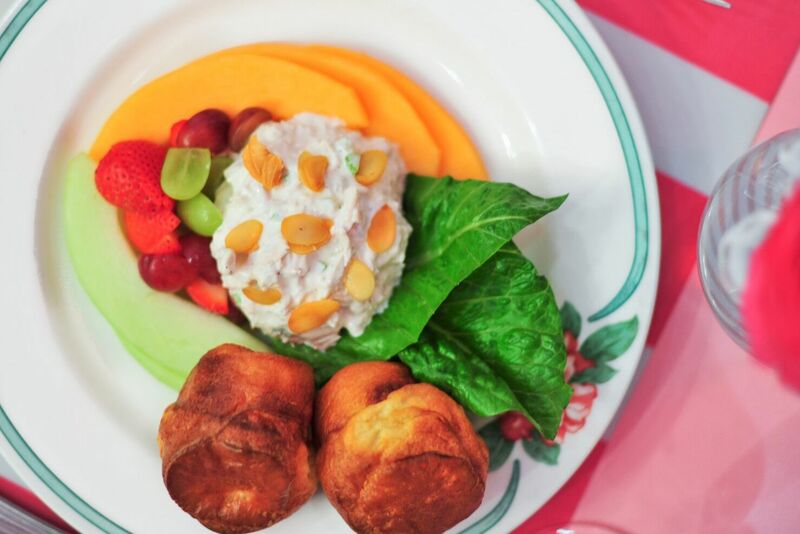 Nostalgic for many, ham salad is an old-school favorite. It has frequented many a Southern church hall, as well as their beloved cookbooks. Whether it be this nutty noodle salad or a crunchy noodle slaw, every church cookbook holds a dish with some Asian flair. It covers every sweet, sour, salty and spicy note. Enter: the perfect, easiest summer salad ever. Tomatoes and watermelon work in perfect harmony with peppery arugula, creamy goat cheese, and crunchy pecans. 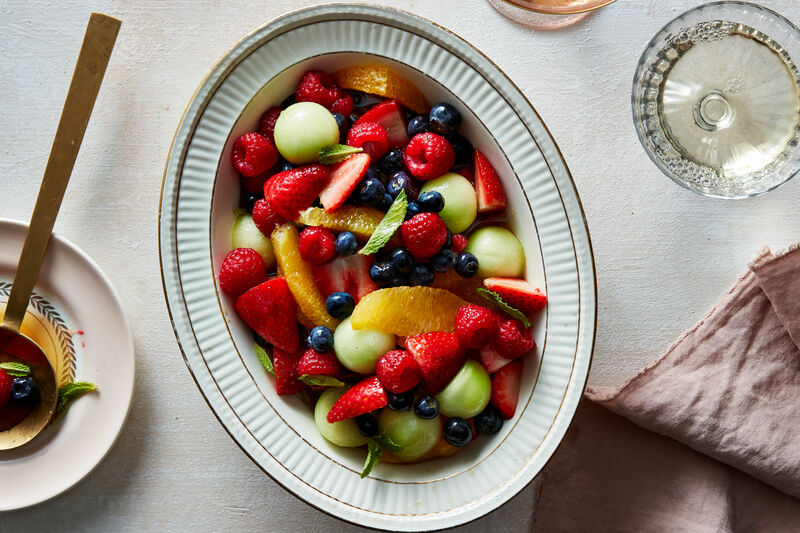 We've all seen a crystal bowl full of creamy fruit salad. With a base of canned fruit for convenience and a creamy, whipped "dressing" reminiscent of the flavors of lemon curd, this recipe is a hidden weapon in any church hostess' arsenal. Church cookbooks find a way to serve Hoppin' John all year long. This summer salad variation is perfect for a picnic. Polarizing? Yes. Vintage? Definitely. 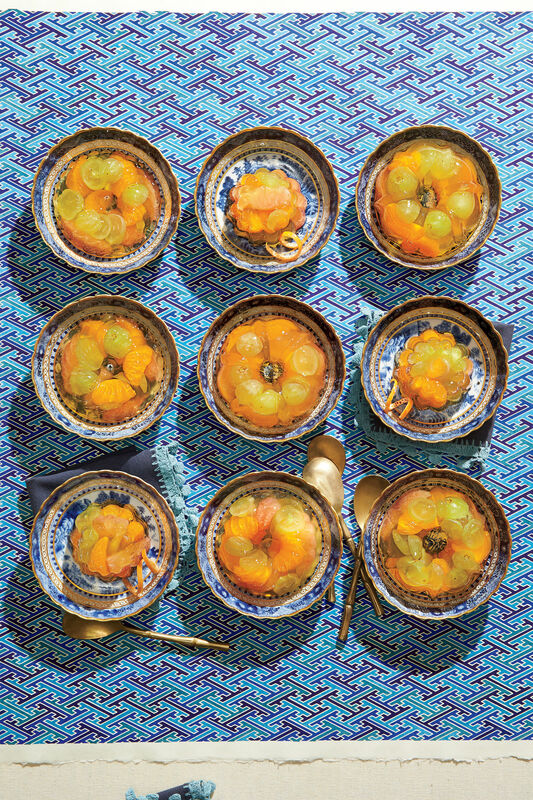 Tomato aspic hails from a time when savory-sweet gelatin salads were quite en vogue. This Greek-inspired take on old-school macaroni salad is church cookbook-approved. 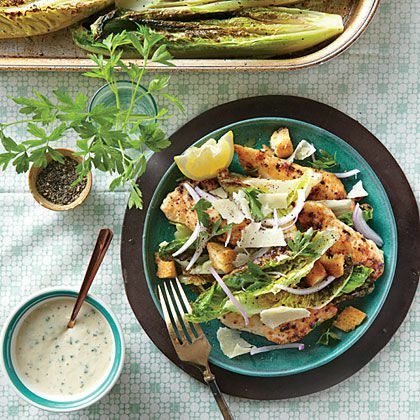 A fresh, tangy yogurt dressing gives it something special. Though it feels so wrong, it somehow tastes so right. This retro salad deserves to be kept in the loop, if only for posterity's sake. It's made with lettuce, canned pears, mayonnaise, Cheddar cheese, and maraschino cherries. Someone decided to combine creamy potato salad and cheesy potato gratin, and we're forever indebted. This 7-ingredient recipe is a no-brainer. Church cookbooks don't forget the holidays. Think of all those Christmas potlucks. This festive salad is filled with pears, pineapple, celery, and pecans for a fresh, crunchy finish. 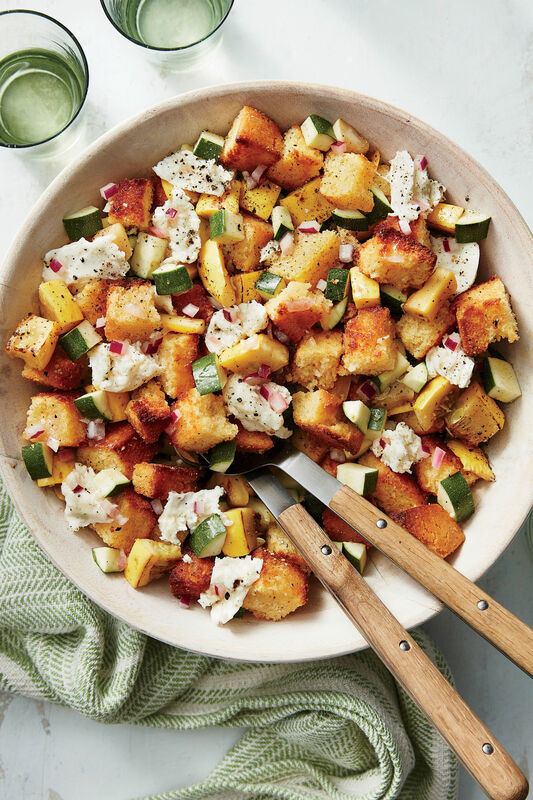 Simple and easy, this familiar salad goes with just about anything. The vinegar-infused marinade gives a tangy touch. A salad? In a casserole dish? With strawberry gelatin? Yes, yes, and yes. Nostalgic churchgoers clean this dish easy. 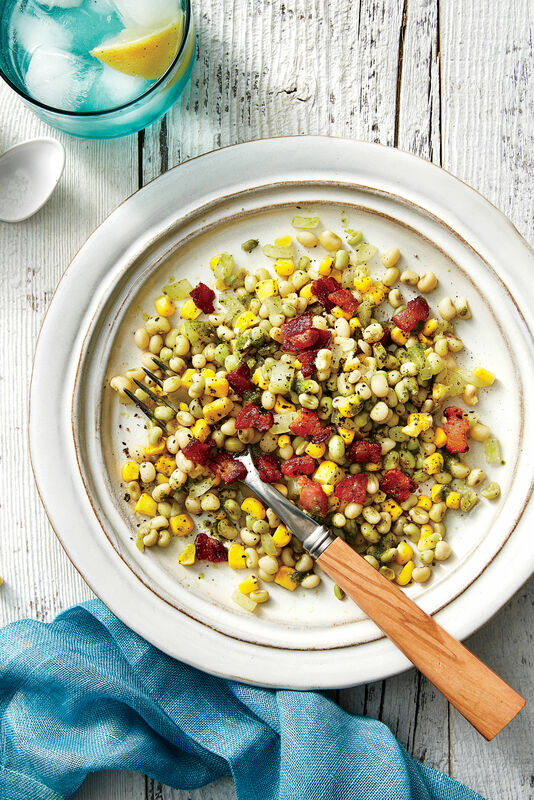 Black-eyed peas are a Southern staple, and this lucky salad is sure to wow the crowd. Peppery watercress, fresh peaches, and cilantro give it major flavor. Bring layered salads back, we say! 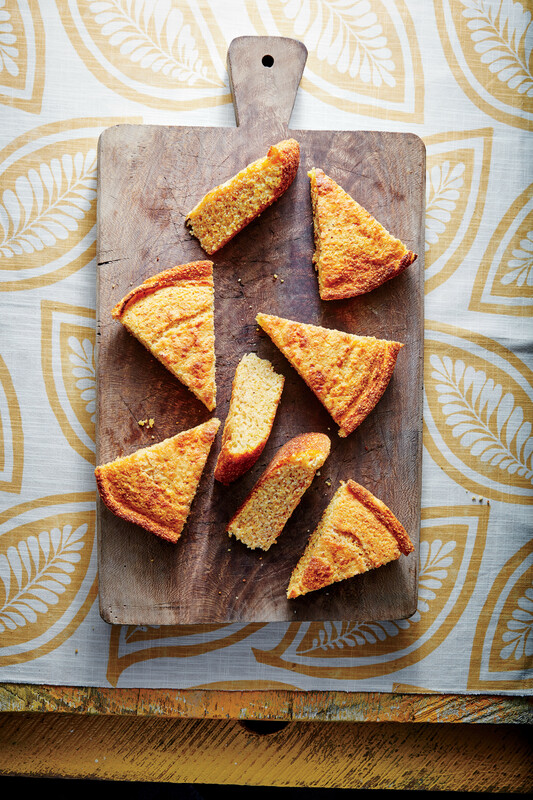 This recipe features delicious cornbread, convenient store-bought Parmesan-peppercorn dressing, and smoked turkey. Chicken salad, made the old-school way. 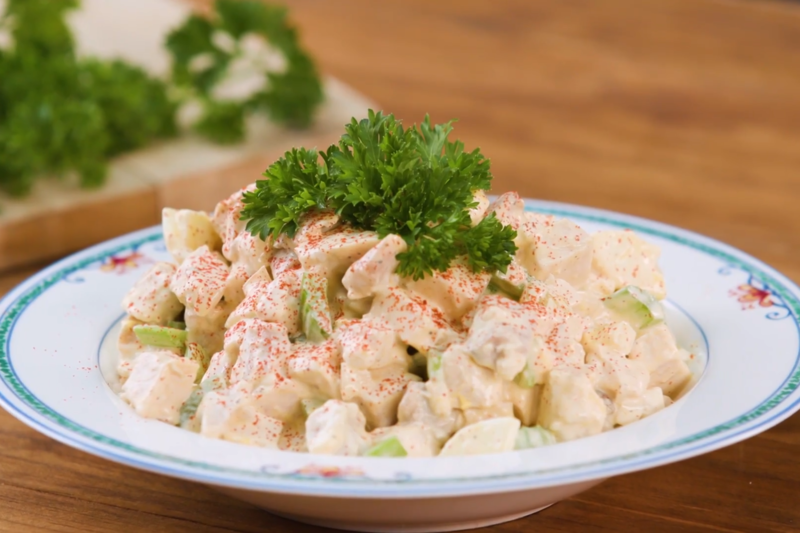 This recipe harkens back to chicken salad of generations past, with chopped chicken, mayo, celery, and a splash of lemon juice. Meet the tangy side every Southerner loves. Like a cross between vinegar-based coleslaw and chowchow, this slaw is dubbed "permanent" because it's designed to be made ahead and gets more flavorful the longer it sits. Pasta salad is incredibly versatile, easy to make, and universally crowd-pleasing. A Dijon-honey vinaigrette makes this 15-minute recipe cookbook-worthy. 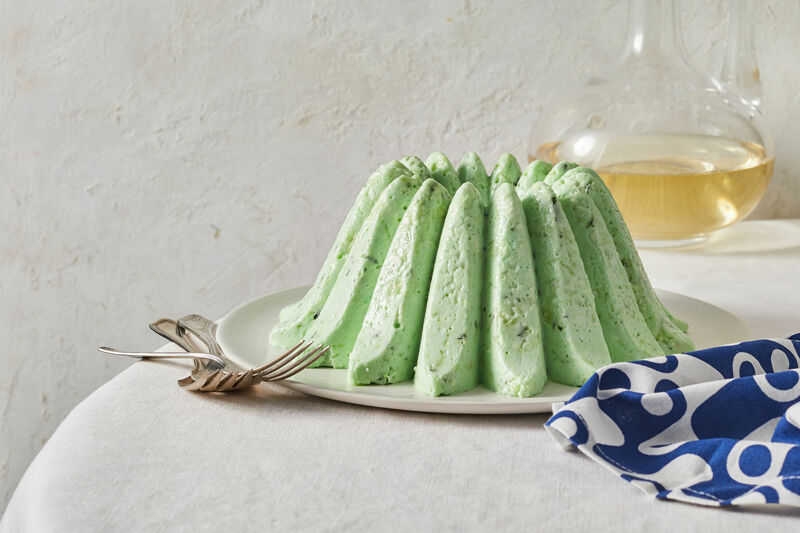 Congealed salads were once quite the phenomenon, and we're happy to have rediscovered this jewel of a recipe. 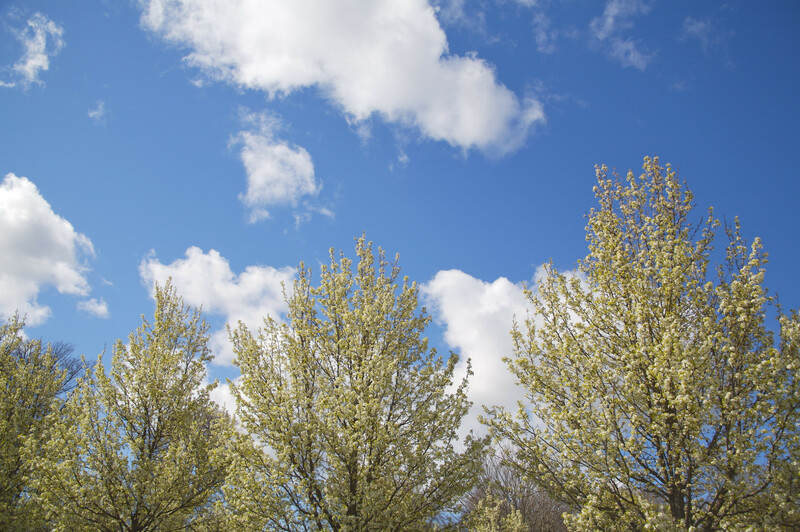 It's like finding a timeless dress at a vintage store. Church cookbooks know it would be a sin to exclude this classic. Packed with onions, celery, sour cream, and bacon, this recipe is an essential. When you need a fall-inspired slaw, this'll cover all the bases. Crunchy apples, chopped pecans, shaved Brussels sprouts, and nutty Parmesan cheese work in perfect harmony. 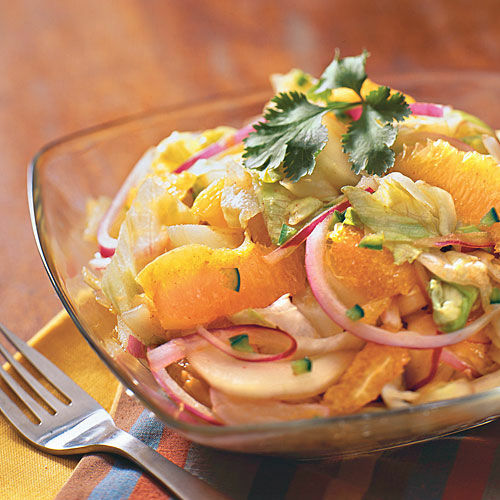 Can't have a church cookbook without it: the citrus salad. Spiced honey is the secret in this elevated version.